A Sweet Retreat is a beautiful and quiet place to spend your getaway in the mountains. This Blue Ridge, GA cabin rental is perched just steps away from the banks of the noisy and fast flowing, designated trout stream, of Fightingtown Creek. and is perfect for a romantic weekend for just the two of you, or a small family getaway. On the interior of the cabin there is a full kitchen, comfortable living room with a tv and a wood burning fiireplace, dining room, 2 bedrooms and a bathroom on the main level. Upstairs there is an open loft with a bed as well, for the third bedroom. The exterior of the cabin offers a hot tub overlooking the creek, several comfortable rocking chairs on a covered back porch, a large and level front yard for running around, and a Cheminia to build a small fire giving great warmth in the cool Blue Ridge Mountain evenings and the ability to roast some hot dogs and marshmallows. Fightingtown Creek is a State of Georgia designated trout stream, and in this area you would have the opportunity to catch a few native rainbow and brown trout. A Sweet Retreat is an excellent place to come and get away from it all, but still being close to town for all the ongoing activities. In the town, there are some great local restaurants, excellent mountain style shopping opportunities, and a relaxed and friendly atmosphere. Come and see why this is such A Sweet Retreat. 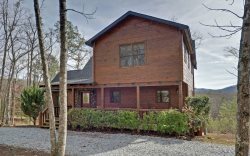 This North Georgia Mountain Cabin Rental is located approximately 8-10 minutes from Downtown Blue Ridge, GA.  The cabin is on Fightingtown Creek, in the Chestnut Gap area Fannin County, GA., which is very close to the Cohutta Mountain Wilderness Area, USFS, Adventure Trail Rides for Horseback Riding, Blue Ridge Canopy Adventures, and Lake Conasuaga. A Sweet Retreat is in a very quiet area and is a great Blue Ridge, GA. Cabin Rental. --Hint! Use a bobber and a piece of canned corn on a 6 hook (a 9 won't work). We enjoyed our time at sweet retreat veey much. We were looking for a place to get away from the stress of our jobs in Florida and your vacation home provided that downtime relaxed atmosphere that we were looking for. Staff very easy to work with as well as cordial. They answered any and all questions I had in a timely manner. We even received a phone call on our first day to make sure everything was to our liking. We have stayed at Sweet Retreat before around 3 years ago. Since then, there have been some nice upgrades. It appears there is all new bedroom furniture including mattresses as well as flat screen televisions in each bedroom with cable. I will note that the pictures on the website do not reflect these changes. Also, it seems there is new comfortable living room seating. We enjoyed the town of Blue Ridge and have already talked about coming back. We love this little cabin and hope to make it an annual couples trip! My wife and I enjoyed the tranquility ,and the nature of things. It's so good to be able to get close to God's real work and dream. It's like being in a world without problems .Nice!!! A lot of people are searching for the same thing, to get away from the worid's problems, and this is the place to go. We will definitely rent this cabin again ! Perfect for our family in regards to size , location, and amenities. Sits on a beautiful creek where we saw deer and a river otter . Creek was easily accessible for kids, no stairs to climb at front door , nice grassy area out front for kids to play . Beautifully decorated inside . Very pleasant experience from booking our cabin to arriving. The members of your staff were amazing. Amber was very efficient in addressing our issues, which weren't a lot. She was prompt in returning calls and was very pleasant. Overall, our family enjoyed our stay very much. It was a very relaxing vacation with many memories made! We would definitely return, just to a more modern cabin. The lady's at the office were very nice and friendly. Great job thanks so much for the follow up call we got on the first day of our stay GREAT Customer Service. I loved the location and pretty satisfied with cabin overall. Wonderful company from start to finish! It was a girls weekend and we loved. Nothing like sitting in a hot tub while it snows with the sound of the creek. Was clean, quiet, and peaceful. We enjoyed the cabin. It was just as advertised. You were wonderful, and we are already planning a trip back in February! We had a wonderful stay. The cabin was everything we needed. Will definitely be coming back to it! Great value for the price, a beautiful setting right on the river! We had a wonderful time! Our time in Blue Ridge could not have been a more perfect getaway. Georgia Mountain Cabin Rentals had cabins that were perfect if you wanted to stay secluded but were close enough to other activities such as zip lining, fishing, white water rafting, and more to keep you plenty entertained. Along with having excellent activities, everyone we encountered in Blue Ridge was a delight to meet. We will definitely be returning! Thank you for giving us a place to relax. This place was amazing, right on the water with excellent views. I plan to rent this one again!! Enjoyed our stay immensely and will contact you in the future.